Not a problem. I have a few good pictures, but can't figure out how to get them on here. If anyone here is less of a technological moron than me I would be happy to e-mail some to you for posting. 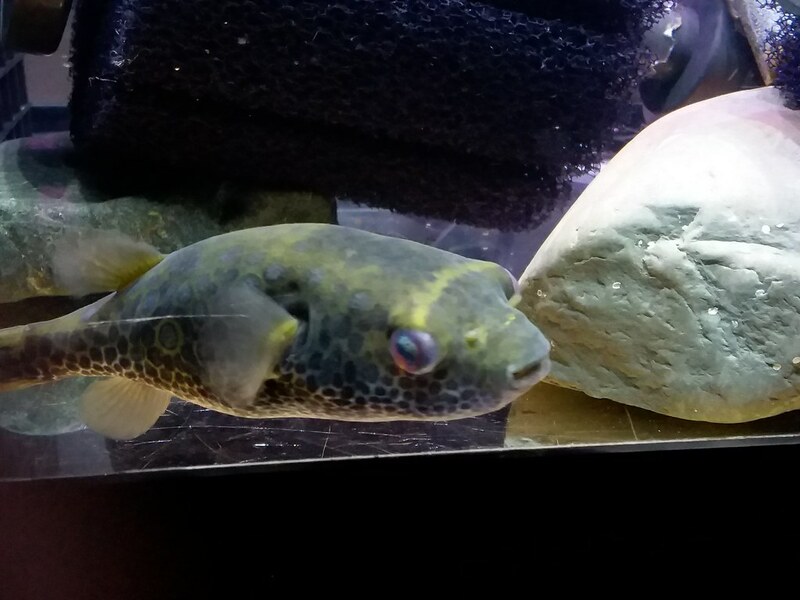 My Puffers: (Pea puffers) Carinotetraodon travancoricus, (group of spotted Congo puffers) Tetraodon schoutedeni, Pao Turgidus twins, Pao (humpback) palembangensis dragon twins, 1 random target puffer, cutcuia twins and palustris twins. The last few threads here were quite fun to hear about. What a little cutie-hamster fish! I have 2 of some target species (possible tugidus / purchased as Abei) that have a screen between the two. So far no real interest in each other, but I'm guessing they will eat each others eyeballs out for a first date. One is pretty and the other looks like a turd. 2nd pic is definitely a turgidus. I'm on a mobile app. Maybe that's why I can't get a picture posted on here. 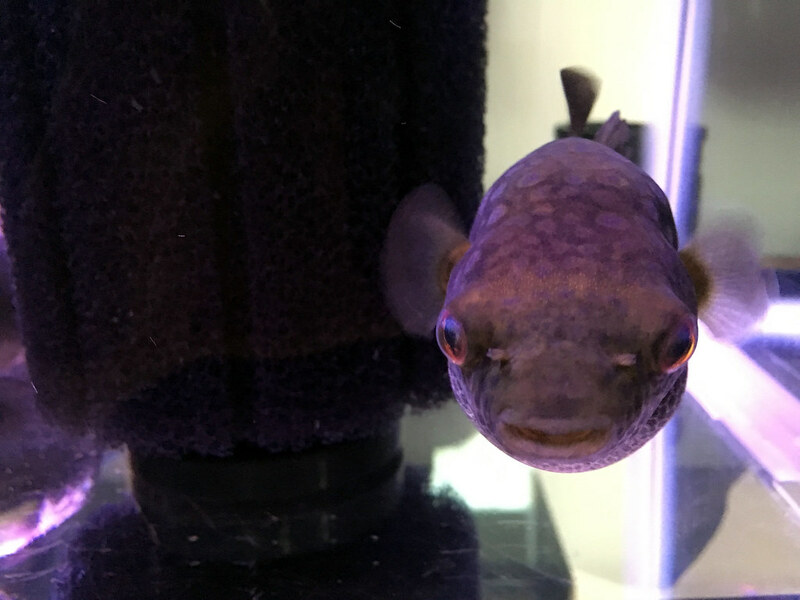 Anyhow, I posted a picture of him on the r/MonsterFishKeepers subreddit a few weeks ago. If anyone here wants to download the picture and post it for me, feel free. His name is Pogo and the caption on the post is "only six inches long, but this little monster can take your finger tips off". There're also a few videos posted. I tried that. It tells me the file is too large every time. You have to resize them in a photo app. Hope this works. Here's Pogo! 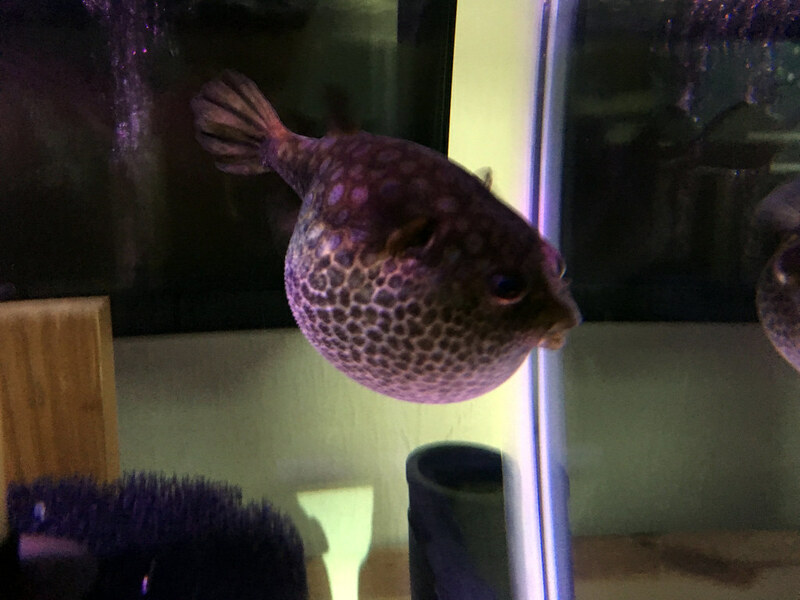 Thanks, Pufferpunk! Here's a couple more. He's got some of the most amazing color changing abilities I've ever seen on a fish. These pics are his happy look. 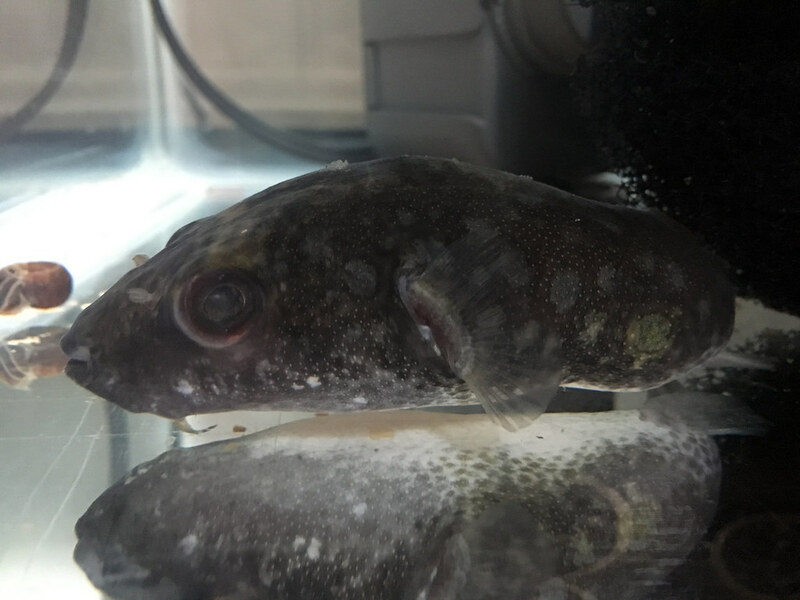 When he's angry his back is covered in darker reticulations and the spots on his sides turn almost black with just a pinpoint of orange in the center. It's also fast. Not quite as fast as a cuttlefish changing colors, but almost as fast. He doesn't do it as often as when he was younger, but once in a while. If I can catch him in a bad mood I'll try to get a pic and post it. This & the suvattii are on my list of next puffs.. I got really lucky with mine. I've only seen two in the few years since and they were special ordered. Shop owner said he'd been trying to get them for a customer for over a year.